Jonathan Long has been involved in the building/roofing industry for over Twenty-five years , having built up a vast wealth of product knowledge from his employment with a number of large roofing companies namely David Alexander & Richmond Building Products. Jonathan has also been involved with a lot of major projects including Stormont Castle, Millennium Theatre Londonderry, Ulster Folk and Transport Museum, St. Aidan’s Church Belfast , Portstewart Golf Club, Glynn primary school and Rathmore house,St Finnians hospital Killarney , Gobbins path tourist information centre, St Buites national school , to name but a few! Established in January 2009, J. Long & Son Ltd. has fast became one of Ireland’s leading suppliers and distrubtion centres of exclusive high quality roofing materials with all staff having a vast number of years experience in the roofing industry, guaranteeing you first class products and service. J. Long & Son Ltd. is a privately owned company specialising in the direct import and supply of quality long life roofing and guttering products at very competitive prices. The company source and hand pick all the products by visiting the quarries in North West Spain on a regular basis to ensure you, the customer, get the very best products at the very best prices cutting out the middle men. J. Long & Son Ltd. offer you their services from the conceptual stage of a project right through to completion. We are here to give you our undivided attention – we can offer you free site surveys, building reports, costings and recommendations. All products are manufactured to BS/EN A1, S1, T1, standards and come with quality backed long life manufacturer guarantees and in addition to this J. Long & Son Ltd provide a company written guarantee up to 100 years on all range of slates . J. Long & Son Ltd. are also pleased to announce and confirm after seven years in business, during which time we have supplied our customers well in excess of 450 new roofs across Northern Ireland, UK , Republic of Ireland , that not one of our roofs have developed any problems or changed in appearance in any way. This reaffirms that J. 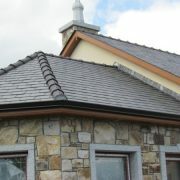 Long & Son Ltd. are supplying top quality Roofing Slate products at the most competitive prices in Northern Ireland and the UK today , reassuring all of our customers that J Long and Son Ltd supply only the highest of quality Natural roofing slate available from the four of the largest leading quarry suppliers in Northern Spain.